Food Trucks have become all the rage. Their ability to setup quickly and to deliver a quality product fast makes them a wonderful option for all sorts of activities, including festivals, parties, gatherings, rallies, sporting events, and even weddings. But today’s eateries on wheels are much more than the corner hot dog vendor of yesterday. These mobile behemoths often incorporate professional kitchens complete with all the cooking, baking, and frying tools (and gadgets) found in top brick and mortar restaurants. It was my first trip to Blowing Rock, North Carolina, but it was trip I won’t soon forget. In point of fact I had no intention of visiting Blowing Rock on this trip. I knew I would pass through this tiny hamlet on my way to Boone, NC for the fourth of July holiday, but I was going to reserve this spot for another time. Most of what I knew about Blowing Rock was that it is a great spot to visit when you want to escape the mid-summer heat of Charlotte. After testing this theory for myself I can confirm its authenticity. The temperature in Blowing Rock was easily 20°F cooler when I passed through just a little over an hour after departing Charlotte; Note to self…must visit here again. My goal for the weekend was not, however, an escape to a cooler climate, it was to tour around Boone, checkout the scenes, and partake in some of the local craft breweries scattered throughout. 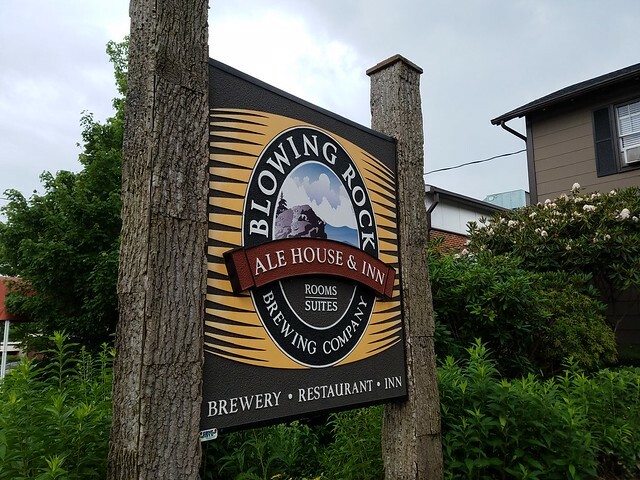 Since there are only three breweries in Boone, I accomplished my intended plan in short order and decided there was time to venture into Blowing Rock which isn’t all that far down the road. Besides it was on my way home and I knew I would need a pit stop along the way. Always on the hunt for new varieties and styles of craft beer, we headed over to the Toringdon Circle Shopping Center to visit with @CLTgrowlerDude Matt Cohen about Growler USA ~ Ballantyne and get the Buzz on one of the Queen City’s newest hot spots. With over 100 craft beers available at any given time, the taproom / restaurant opened in January and has already secured its place as a must visit attraction for craft beer adventurers and novices alike.